The Christmas season has arrived and it’s time to start planning for the main event. However, holiday shopping can be stressful if your child hasn’t come up with a Christmas list yet or if they don’t know what to ask for. If you’re looking for some inspiration for the perfect Christmas gift ideas, look no further. We’ve made a complete list of our favorite Christmas list ideas for girls, boy, kids, and teens alike. Start as early as possible. The best way to make sure everything ends up on the Christmas list is to start early. Writing early ideas makes sure that nothing gets left off or added too late to make it into Santa’s gift bag. Try to focus on what you need first. Do the kids need new backpacks or a bigger bed this year? Turning needed things into fun, customized gifts is a great way to accomplish multiple goals and still celebrate the holidays. Make a list of everything you want, and try to keep it on you. Whether it’s in the notes of your phone or in the kids’ notebooks, keeping a Christmas list whenever you’re on the go can help in times when inspiration strikes and make sure things don’t get forgotten. Prioritize your list. Once you have a full Christmas list, ask the kids to prioritize it. That way you can make sure they’re getting all the most important things and you’re able to maximize the Christmas shopping. Consider experiences as much as things. Including family trips, movie tickets, or other experience-based gifts can bring a whole new level of excitement to your Christmas morning. If there’s somewhere the kids have always wanted to go, consider adding the experience to your Christmas wish list. Ask them, “what brings you joy?” At the end of the day, you want to see joy and excitement on your kids’ faces. Prioritize what you feel would bring the kids the most joy on Christmas morning, and plan your Christmas shopping from there. Remember that it’s about quality, not quantity. Don’t feel pressure to fill your house with Christmas presents just for the sake if it. Kids will always remember their favorite, most meaningful gifts over the sheer amount of wrapped presents under the tree. It’s often difficult to narrow down a list to figure out the perfect Christmas gift idea for a young girl. There are so many options in the market, and you always want to make sure it’s something she’ll both enjoy and appreciate. So, if you’re specifically looking for Christmas list ideas for girls, check out the following ideas. Is she an avid soccer player? Then maybe she’d love a brand new soccer ball or ticket to a local professional game. Or maybe she loves all things dance and has been dying to see the ballet. Or, if she’s always loved singing, consider investing in some singing lessons. Whatever her hobby is, there’s usually a way to both show your support and turn it into a perfect Christmas present. Whether a teen or toddler, girls always know how to show off their own particular style. Remind her just how special she is by incorporating that style into her Christmas present. Whether that’s with a new personalized bed set or a new wardrobe, helping her show off what makes her unique is sure to brighten her Christmas morning. Don’t be afraid to get creative with your Christmas gifting. Thinking out of the box, whether that with homemade gifts or by gifting experiences instead of things, often turns out great. It’s also the perfect way to make sure this year’s Christmas is one to remember. Just because she needs new socks or a new sleeping bag for sleepovers doesn’t mean it has to be a less exciting Christmas gift. Spend extra time to make sure that her “needed” gifts are still fun by shopping for styles that fit her personality just right. Whether that’s with animal print socks or a monogrammed sleeping bag, there’s always a way to make it special. Personalized gifts always mean a lot in the long run. Just by adding her name, favorite color, or favorite photos to a make-up bag or laptop case can make something a stand out gift. Whether he loves baseball, video games, the outdoors, movies, or all four and more, there’s plenty of ways to make sure he crafts the perfect Christmas list. Check out the following ideas for Christmas present guidance for any boy. Investment in what he cares about will not only show him how much you care but also makes for an amazing Christmas gift. Whether that’s gifting him a new guitar or taking him to science camp, there’s perfect present for every hobby. It can be easy (and fun) to gift videogames or electronics year after year under the Christmas tree, but it’s also important to mix up the presents with other Christmas list ideas. That could be a new set of skis or a book – things that don’t need to be plugged in or charged to have fun with. A few silly gifts here and there are not only inexpensive, but they’re a great way to keep Christmas morning light hearted and fun. Whether that’s with Christmas stickers or a funny card, there’s plenty of ways to add some extra fun to your Christmas list. Christmas is a time of reflection, so finding ways to add treasured memories to his presents is a great way to bring the Christmas spirit into your wish list. 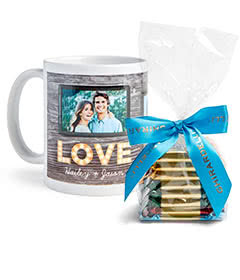 Whether that’s with new wall art for his bedroom or photo gifts, he’s sure to love opening gifts to find his favorite memories inside. If he’s more interested in experiences than gifts, consider adding a few to the wish list. Whether that experience is a trip to the aquarium or a sports game, these gifts are meaningful for anyone. Personalized story books are perfect presents that place your own child inside their very own story. Using your child’s name and at times, photo, these special story books are growing in popularity each year. Teddy Bears are a Christmas classic for a reason. They’re cute, soft, and perfect to cuddle on a Christmas morning. Consider adding a customized teddy bear to your Christmas list this year. If your child is a fan of superheros, personalized capes are the perfect present to add to your Christmas wish list. Customize the cape with your kids’ names for an extra special touch. Puzzles have maintained their popularity through the years for a reason. They’re fun, yet quiet games that can be enjoyed with the whole family. Add a special touch of a family photo to make sure your puzzle is one to remember. If you’re looking for Christmas list ideas for a teenager, you might be looking for different gifts that those listed above. Playing cards make for a perfect gift because of the amount of games that can be played with them. From “go fish,” to “war,” to countless more, there’s plenty of games waiting to be played, and a customized deck makes those games extra special. If your teen is constantly on the move between school, sports, hobbies or other, they likely could use additional travel gear. Things like bathroom bags, backpacks, and key chains are essentials, so they may not seem like the perfect Christmas present. However, by adding a personalized touch you can make the gear not only stand out, but match your teen’s style perfectly. School gear like pencil bags, notebooks, and drawstring bags may not feel like the most fun Christmas presents, but they can be. Customized school gear make for Christmas presents that are as personal as they are useful and are always welcome under any Christmas tree. If you liked the above ideas, but you’re looking for more, we have more resources just for you. Make sure to check out our ideas for homemade Christmas gifts, Christmas crafts for kids, and kids personalized gifts.